It is safe to assume that when and if a player like Messi is available for grabs in the transfer market, all the clubs will line up to get arguably the best player in the world to play for them. Spanish football expert Guillem Balague believes the Premier League’s top three clubs, Manchester United, Chelsea and Manchester City seem to be heading the line of those interested in Messi. The 29-year-old’s contract at Barcelona expires in 2018, and after recent contract extension talk failures, the Premier League trio have made their interest in the player well known, incase the possibility of a transfer comes around and about. Barcelona’s chief executive Oscar Grau has made it clear the club will have to use ‘common sense’ in Messi’s current situation, and despite contract signings of Neymar and Suarez, nothing about the Argentine and his future is certain at the moment. Messi has been Barcelona’s most valuable asset in the past decade to say the least, and in that period, has helped the club to 8 league titles, 4 Champions League titles, 29 trophies, and himself scored 479 goals and won a record 5 Ballon D’Ors. 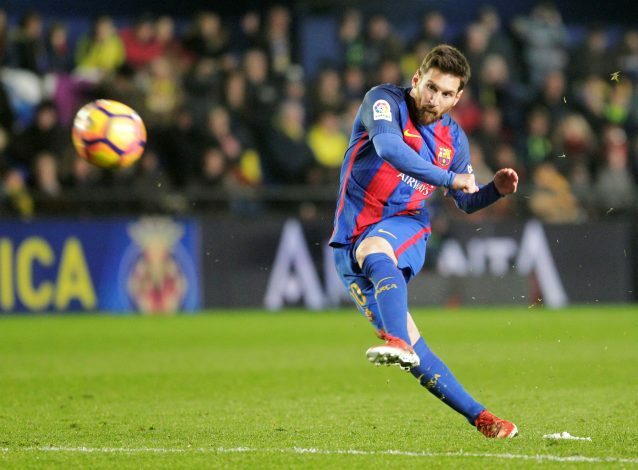 At the moment, Messi is tagged to be priceless by his club, but if the chance arises to bring about an amount worthy enough to purchase the player, teams like United, Chelsea and City will certainly not hold back one bit in splashing any price asked for, and will go beyond any stretch of imagination to bring the Argentine magician to the Premier League.